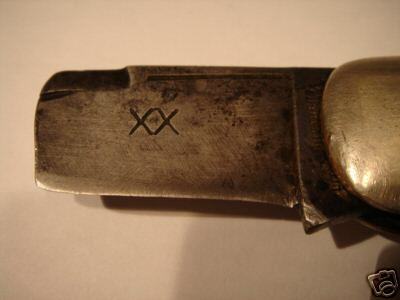 I guess you save old auction pictures.I bought the knife you have shown here,and yes it has been in a drawer since I bought it a couple years ago.If I did come across a junk Case Brothers with good blades I would consider replacing the master blade.I don`t know if I would but I would think about it.It has nice stag and could be a high dollar knife. Let’s see, we restore old cars, replace missing parts of old toys, touch up damaged paintings, etc. Do any of you watch “Antiques Road Show”? What’s different about old knives? If we replace that broken blade with another blade that is correct for the knife we’ve improved the condition & value of that knife. Suppose the original owner had sent the knife back to Case and they happened to have the correct replacement blade — the next guy to own it wouldn’t know nor would he care. 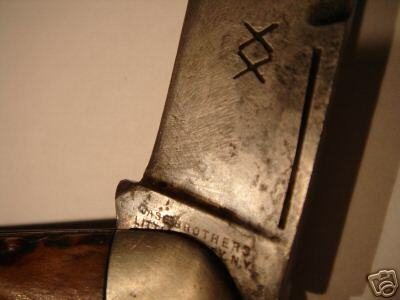 Restoring an old knife to, as close as possible, original condition is to be encouraged. Now buffing that master blade to a high gloss and calling it mint — that makes my blood boil. It’s not mint and never will be, but honest restoration is fine with me. I’d rather see that pictured knife with a better blade than to let it languish as a parts knife. I think your and Mr. Johnson’s comments a seeds for a future blog post. While I agree with the premise there are inherent problems even then. Stay tuned and I’ll dive deeper into this soon. I’m faced with this dilema myself,quite by accident as well. I got on E-bay for the first time and with my 8-week old labtop was off and running. I had just won my first auction and up popped this window saying the second’s are ticking away. So I without much thought see WW2 Mark1 and will you know it I own a broken down stacked leather fixed blade,with no sheeth. The seller has stated that he has not cleaned the knife, and I’ve watched the debate on this subject. I don’t want this old knife really but my word was given so I’m stuck with it ,well I’m going to wipe it with oil you’ve got to stop that rust right. Well then there’s the bent gaurd I can fix that,the handle is ready to crumble to peices,the gaurd breaks as I’m fixing that. This is turning into a job but I see this knife as being useable presentable. The rag and oil didn’t do it so out comes the scotch brite,I’m shopping for sheeths or maybe a custom made one. 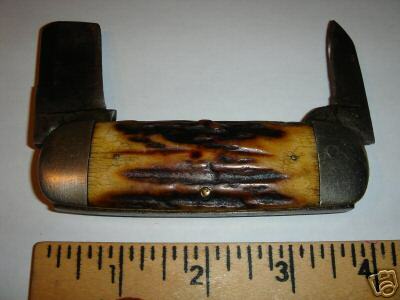 The stacked leather handle I’m thinking and thinking hey those hammers with leather handles maybe that will do it. The bottom line is for me, I want to give life to a rusting,rotting peice of trash to some people and do it cheaply as I can and in keeping the integrity of the original makers work in making what was a fine knife one day. It shall be again and I can take the pride felt in who knows a knife that may hold a great story.